It's a good thing I didn't make any New Years resolution about blogging more frequently; I'm afraid I would have already broken it! So let's start the new year with setting the food stage a bit, shall we? Time to get excited, kids, the UN Food and Agriculture Organization has announced what 2016 is the international year of pulses! Yes, I know it will be massively difficult to beat 2015's International Year of Soils, so foundational, with such a deep profile. (If you're laughing a bit, please continue) But, pulses are an extremely important and yet under appreciated group of crops. Now when we say pulse, we're not talking about that manifestation of your heartbeat when a doctor checks vital signs. Though, i would probably argue that their health, vigour, and abundance are vital signs of the well being of food and agricultural systems. Agronomically, pulses are annual legumes... That's beans and lentils if we get right down to it. As you might imagine these lil' guys are important, both for feeding the masses and for maintaining healthy agroecosystems. Let's start with people. 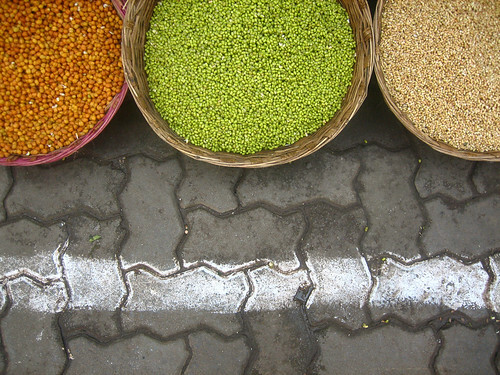 Beans, peas, and other lentils are staple sources of calories and protein in many developing countries. While pulses comprise only about 3% of total calories consumed in developing nations, there is a wide range and they can actually make up close to 50% of protein intake (e.g. Burindi). Because they are cheap and high in protein, percentage of total calories will be much higher among the poor in these countries. And if you take largely vegetarian societies, like those in India, pulses feature prominently in nearly every dish - from lentil daal and lentil-battered pakora to chickpea curries. Plus, let's be honest, pulses are pretty culturally iconic - baked beans? rice and beans? hummus and falafel? But it's not just about people; pulses are crucial for the health of the planet. For one, as legumes, they have symbiotic bacteria in their roots that fix nitrogen from the air (rather than relying on humans to do that synthetically...). They are often used to improve soil fertility, planted as cover crops and green manures, and help the bioavailability of other soil nutrients while improving water infiltration. What's more, some pulses (e.g. 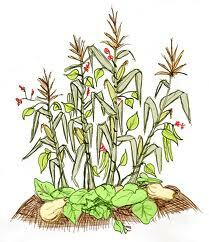 pigeon peas) grow well where few other crops tolerate - in depleted soils and semi-arid climates. Leguminous crop residues help complete a closed looped farming system, providing idea fodder for animals. If you look at traditional and indigenous American gardens, you can also get a sense of how well certain pulses integrate into an agroecological system. The three sisters form a multi-story farming system, with squashes at the ground level as a totally killer weed suppressor, maize growing high above, and beans fertilizing the soil and climbing up the golden stalks. If you happened to have developed a hankering for some pulsey dishes over the course of this blog post, you're in luck. They're a vegan's best friend, so I've got a few for you to give a try.